1 coupon per item(s) purchased as stated on the coupon with a maximum of 12 coupons per same 12 items purchased in a 24 hour period per Giant Eagle Advantage Card® customer. Coupon value cannot exceed the price of the item(s) purchased. If it does, we can only redeem up to the value of the item(s) purchased, (excluding sales tax). The original coupon must be presented. Photo copies will not be accepted. Product must be purchased in sizes and quantities specified on the coupon. Stacking (combining electronic and paper coupons) of manufacturers coupons is prohibited. Bottle caps are accepted for redemption as a store coupon within stated coupon guidelines. If you forget your coupons, we will accept them with your receipt and GEAC up to 10 days after the purchase date on the receipt. Large numbers of coupons and competitor coupons will not be accepted through self-checkouts, they must go through a cashier. 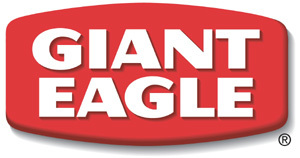 Must be obtained from our designated website or approved third-party websites (approved third-party sites are listed on http://www.gianteagle.com/faq/eoffers). 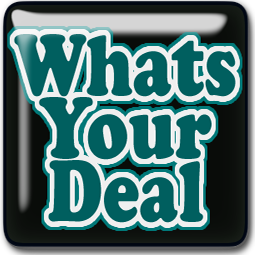 eOffers must be clipped and loaded onto your Giant Eagle Advantage Card account prior to redemption. Maximum of two (2) “like” coupons will be accepted. “FREE with no purchase necessary” and “Buy One Get One Free” coupons will not be accepted. Any coupon with a value over $3.00 will not be accepted except where advertised by Giant Eagle for a specific promotion. Must have a Giant Eagle, Market District, Giant Eagle Express or GetGo logo on the coupon. We accept competitor coupons provided they are from a grocery, convenience store or pharmacy retailer. We will not accept restaurant coupons. Must be for dollars or cents off a total order or a specific product. We are not able to accept % off competitor coupons. All competitor coupons must comply with the overall coupon policy above in terms of valid expiration dates, stacking, item limits, printed coupons, photocopies, etc. Competitor coupons will not be accepted through self-checkout register lanes. Competitor coupons are not subject to doubling. Management reserves the right to refuse any competitor coupon that appears to be fraudulent and the right to substitute any offer for an offer of similar value. Additional restrictions may apply to prescription offers, see pharmacy for details. Redeem any manufacturer’s coupon with a valid expiration date, worth up to and including the stated maximum amount clipped from newspapers, magazines or received by mail and we’ll double the savings. Coupons with a face value over 99 cents will be redeemed at face value only. Not valid on free coupons, eOffer coupons, Checkout coupons, Giant Eagle, GetGo or Giant Eagle Express coupons. This offer applies only to manufacturer product “cents-off” coupons for items and sizes we carry.